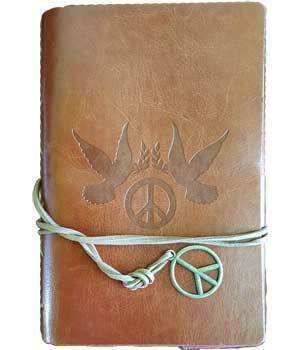 Dove Peace Journal conveys a timeless symbol of compassion, love and peace. The leather tongs are adorned with cast-metal peace symbols. A perfect journal for inspirational messages. Dimensions: 6.5" x 4.3".